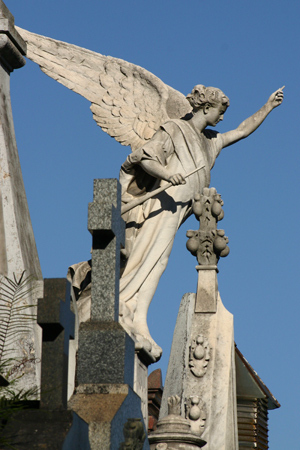 Ernesto Tornquist, born in 1842 in Buenos Aires, became one of Argentina’s most successful entrepreneurs. His father, born in Baltimore of German immigrants, represented the city of Bremen in Uruguay. Ernesto’s mother, a porteña, passed away in the yellow fever epidemic of 1871. The following year Tornquist married his niece & they had a numerous family of 14 children. His brother-in-law first introduced Ernesto to management, & he eventually acquired enough shares & confidence to inherit the company. It provided the capital necessary to open a sugar refinery in Rosario, the Bieckert brewery, a ceramic manufacturing plant, metalworking facility… even a margarine factory. Diversity seemed to be Tornquist’s strong point, & his fortune grew accordingly. A close friendship with both Julio Argentino Roca & Carlos Pellegrini likely helped Tornquist influence political decisions… or at least know what would happen before anyone else. Some historians have hinted that he may have even inspired Roca to take on the Conquista del Desierto in order to acquire land. What is certain is that after the removal of indigenous tribes, Tornquist bought thousands of hectares of confiscated land & established colonies for German immigrants. This large area just north of Bahía Blanca still bears his name. 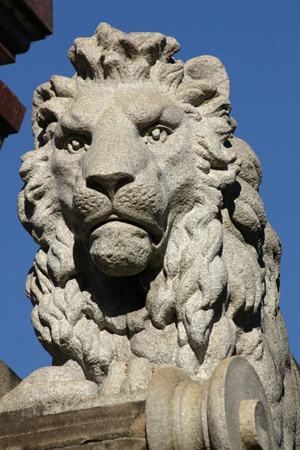 Tornquist built several visible reminders of his wealth in Buenos Aires, most notably the Plaza Hotel—today the Marriott—on Plaza San Martín. 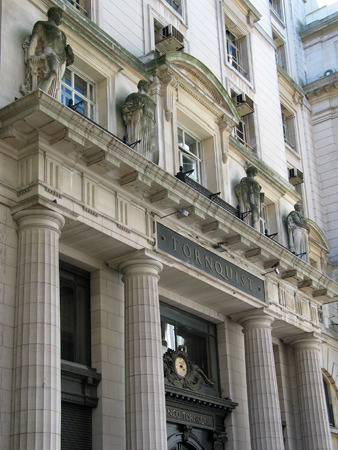 In the heart of the banking district, Alejandro Bustillo designed the Banco Tornquist in 1928. 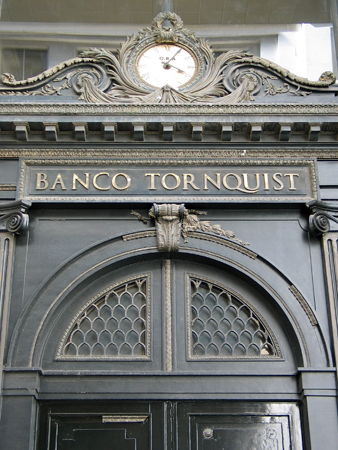 As of 2000, Banco Tornquist had been absorbed by Banco Santander Río & the building has remained closed to the public since then. Plans to house the yearly interior design fair (Casa FOA) there in 2013 will provide a unique opportunity to view the bank’s interior. 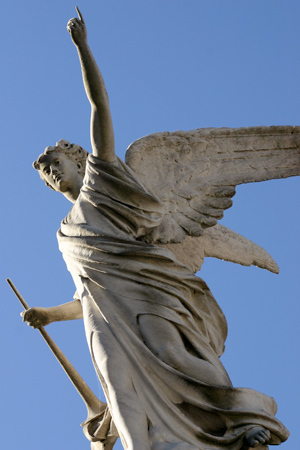 Ornamental figures above the entrance were sculpted by Troiano Troiani. 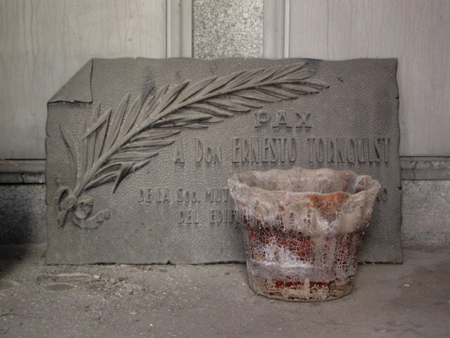 Tornquist passed away in 1908 in Buenos Aires. 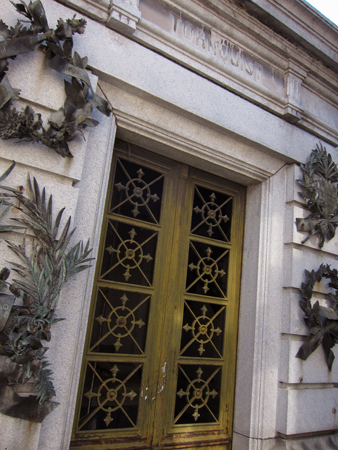 His remains—along with those of his wife—were transferred in 1992 to the city which bears his name, leaving only a dusty reminder in Recoleta Cemetery of one of Argentina’s biggest names in business.